About 15% of ARI’s training takes place off-campus. Observation trips and study tours are some of the most important activities in the training program. These trips give participants a chance to journey through Japan and visit people, groups, and institutions that are involved in community development efforts and social welfare. 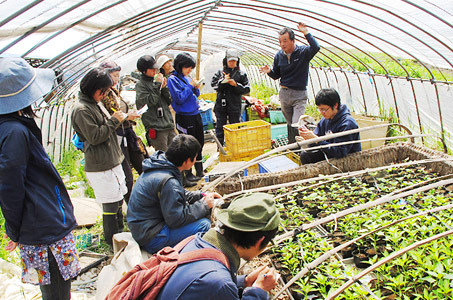 Short observation trips to neighboring cities and prefectures provide opportunities to deepen various agricultural and environmental issues. – Visits in Nasushiobara and its vicinity. This includes the study of the Nasu Canal, which was developed 130 years ago by local people and farmers. – Ogawa Town, Saitama Prefecture Participants visit leading organic farmers in Japan and study their ecologically sustainable way of farming. 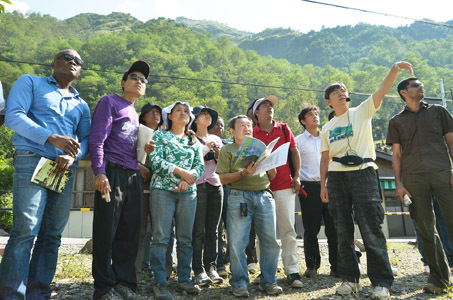 – Ashio Copper Mine, Tochigi Prefecture Participants visit historical sites of environmental destruction caused by copper mine pollution and learn from Mr. Shozo Tanaka, a leader who fought for the lives of the suffering people and the environment. During the summer term, participants have a chance to travel through rural Japan in one of the main agricultural regions of the country. The tour is about ten days in length. The program includes a farm stay, observation trip, discussion, evaluation and a written report. This program will allow participants to study a rural Japanese community. – Hamamatsu Seirei Social Welfare Community, which cares for the elderly, the physically and mentally disabled.